Two House Democrats are looking into whether President Trump has a conflict of interest because of his stake in the largest federally subsidized housing complex in the United States. Mr. Trump has a four-percent stake in Starrett City, an affordable housing complex located in Brooklyn. The president could make millions from that stake, depending on decisions made by the Department of Housing and Urban Development (HUD), currently headed by Ben Carson, related to the complex. 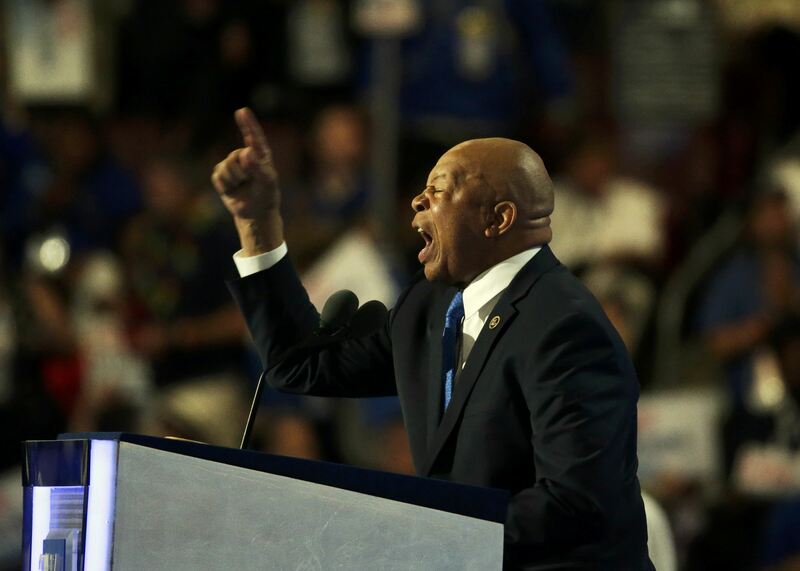 Rep. Elijah E. Cummings, D-Maryland, who is also the ranking member of the House Oversight Committee, and Rep. Hakeem Jeffries, D-New York, whose district includes the complex, sent a letter on Friday requesting multiple documents relating to the president's stake in and communications with Starrett City. Mr. Trump's financial hold on the complex is valued at up to $25 million, according to his financial disclosures. "Many real estate companies receive government subsidies to support affordable housing but unique conflicts exist with regard to Starrett City because the President is on both sides of the negotiation—he oversees the government entity providing taxpayer funds and he pockets some of that money himself," Cummings and Jeffries wrote in the 10-page letter addressed to Donald Trump Jr. and the Trump Organization's CFO, Allen H. Weisselberg, who oversees a trust holding the president's business assets. Cummings and Jeffries also sent the letter to Carson and Chairman of the Oversight Committee Rep. Trey Gowdy, R-South Carolina. HUD is responsible for approving how much rent the complex may charge tenants and may determine how often rent subsidies will be readjusted, opening up the potential for the Department to tip the scale in Mr. Trump's favor. The department may also approve the sale of Starrett City, allowing Mr. Trump and his associates to profit. HUD has previously refused to approve its sale, in order to preserve the complex's affordability. In their letter, the two House Democrats also expressed concerns with the Trump administration's appointment of Lynne Patton as the HUD's regional administrator for New York and New Jersey. Patton, a long-time friend of the Trump family, brings no prior housing experience to her new role and previously worked as an event planner who organized golf tournaments at Trump golf courses and planned Eric Trump's wedding. "Not only do we have concerns regarding Ms. Patton's qualifications and fitness for her new role with HUD," Cummings and Jeffries wrote, "but we have serious concerns that her self-described loyalty to the President and his family could influence HUD's discretion on issues related to Starrett City." Finally, the two lawmakers pointed out that Mr. Trump's budget proposals would "impose steep cuts" on other areas of federal housing aid, while mostly maintaining the type of federal aid that would get directed to the owners of Starrett City. "The President has rejected the advice of ethics experts from across the political spectrum by refusing to divest his ownership in his personal businesses which creates numerous conflicts of interest," the letter reads.